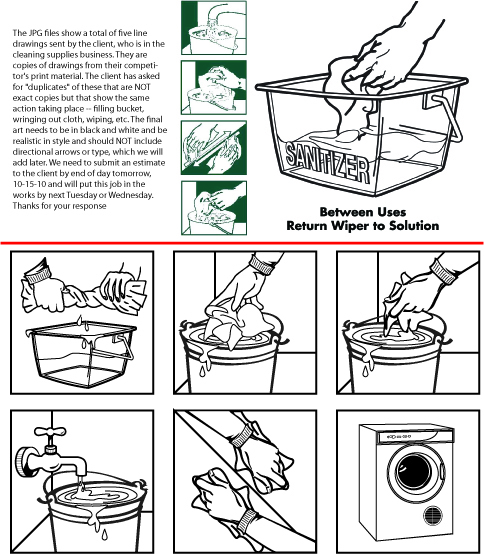 The customer needed a sign with graphics to illustrate the steps in a particular cleaning process. The art on top was provided, and the instructions give specific instructions as to what graphics they need created. This is a great example of what our “Hand Drawn Illustrations” service is perfect for. Please have a look!